You might remember this line from the movie Apollo 13. 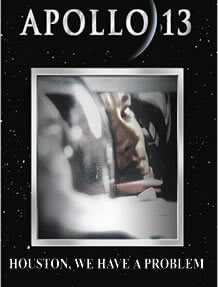 The space craft was in the verge of disaster and so were the lives of the astronauts inside it. It was in this framework that Dr. Howard Hendricks mentioned the problem in leadership we have in the church. There is a lack of leadership in the church that eventually spills out into society. The greater problem he presents is that unfortunately, we have people who are in positions of leadership yet one thing is lacking – CALLING. Houston, we really have BIG problem. Dear leaders, this is a moment for us to assess why we are where we are today. If we are in ministry today because we don’t have anything else to do or we feel stuck because we thought this is what we were supposed to do and realized we while be somewhere else, then something has to change. We need to ask ourselves certain questions. 1. Do I remember a specific moment when God clearly spoke to me about His call in my life? I don’t mean an audible voice like with Moses and the burning bush. I mean a real sensing in your heart that you just know it was God who was speaking to you. Career is what you’re paid to do. Calling is what you’re made to do. 2. Do I still have the fire as I used to have? Passion is hard to explain yet easy to spot. You just know. 3. Do I know where I’m headed? No one really knows exactly. Abraham left Ur without really fully knowing where he was going. However, there was a sense of direction and confidence that I am going the right way. If we have none of that, then we need to go back to Houston for some recalibration.